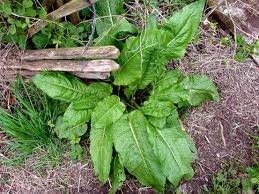 The name dock applies to a range of broad leaved wayside weeds. Said to be an all-round tonic and conditioner for the blood, a laxative, help for jaundice and skin diseases. The leaves are often used to reduce the pain of a stinging nettle rash. 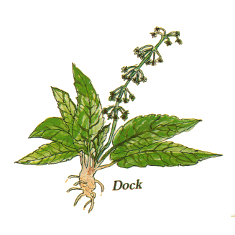 Dock has been used for centuries as a blood purifyer and as a tonic to relieve stress. It was also used as a poultice for skin disorders reducing inflammatin and irritation.